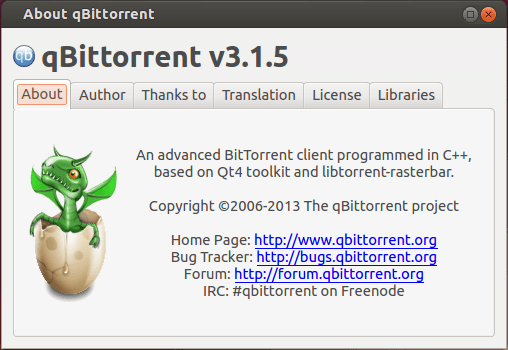 The free and open source bittorrent client qBittorrent 3.1.5 has been release a few hours ago. Let’s see what’s new and how to install or upgrade to new version in Ubuntu 13.10, Ubuntu 13.04, Ubuntu 12.10, Ubuntu 12.04, Linux Mint and their derivatives. Fix compilation with Qt 4.7. Closes #1215. Delete temporary files after they aren’t needed. Don’t count paused torrents for the autoshutdown.